Manufacturer & Supplier of Ripening Chambers for Fruits. Our product range also comprises of Cold Storage Rooms, Cold Room and Cold Room Units. 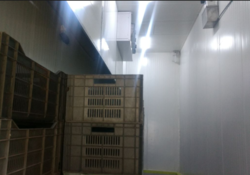 Our firm is dealing in the installation service of Ripening Chambers for Fruits. The offered ripening chamber is widely used for the storage of fruits and vegetables. Our rendered ripening chamber is very effective in allowing the fruits attain their characteristic color, flavor, quality and texture. The offered ripening chamber is capable of preventing the post harvest losses and deterioration of fruits. Our organization is well known in the market for providing a broad assortment of Temperature Chamber to our clients. 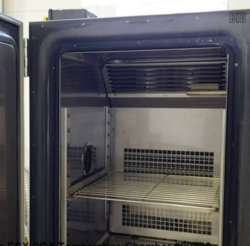 Temperature Chamber Chambers are widely used in industries, test centers, and laboratories for both preservation and processing purposes. 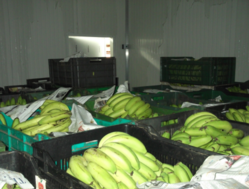 We installed Banana Ripening Chamber which is designed bottom up to maintain the precise conditions required by each specific application. Factors such as humidity, temperature, ventilation, and specific gas emission levels within each ripening chamber are tuned to optimum levels in each chamber design, based on requirements at each facility. Looking for Ripening Chambers for Fruits ?